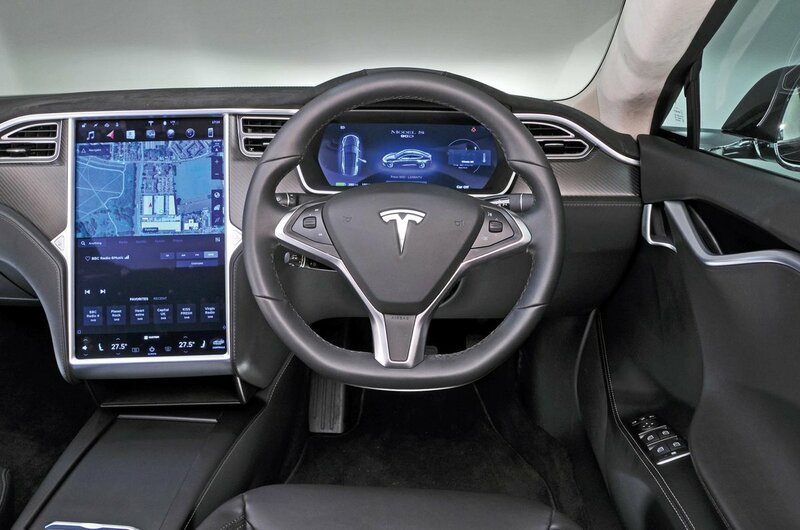 Tesla Model S Interior, Sat Nav, Dashboard | What Car? 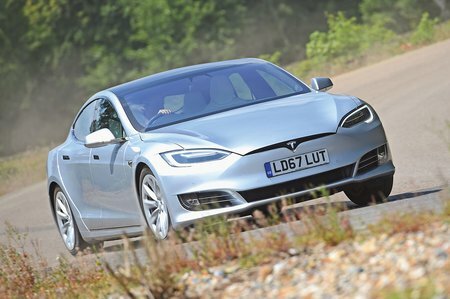 There are hardly any switches or buttons in the Model S. Instead, you get a massive 17.0in colour touchscreen that has sharp, high-definition graphics and online connected services. That might sound overwhelming, but it's actually friendlier to use than some of the smaller touchscreen systems in many mainstream cars. Shortcuts for key systems, such as sat-nav and audio, are always on display, and the screen itself is very responsive, with decently sized icons. Yet, due to the sheer amount of features it controls – even the sunroof is opened and closed via the screen - we prefer less distracting systems, such as BMW's rotary dial-controlled iDrive. Finding a comfortable driving position in the Model S is easy, with plenty of adjustment via the electrically adjustable seat and steering wheel. 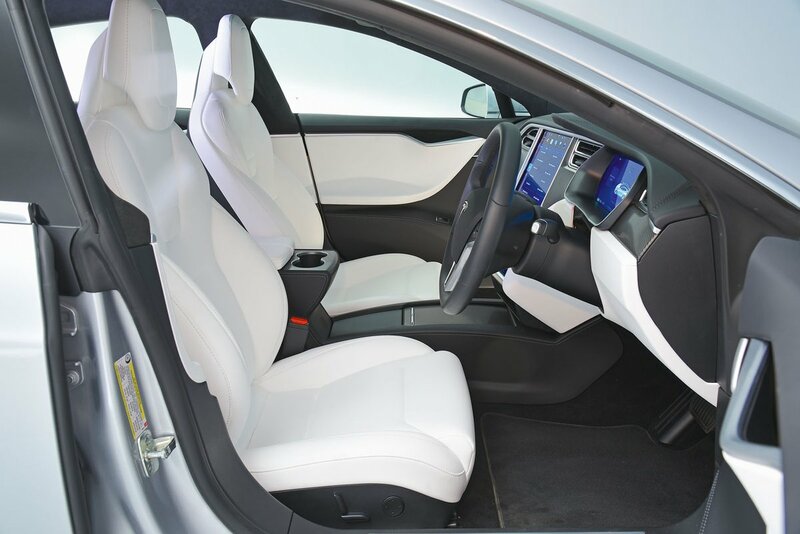 The pedals are well set and the seat is generally supportive, although it could do with little more side support, given the car’s performance potential; the I-Pace' seats are better in that respect. Forward visibility is great, but the view rearwards is quite restricted due to the narrow rear screen and thick window pillars. Still, you get front and rear parking sensors and a rear-view camera as standard. It's a shame that, despite all of the cameras around the car used for the Enhanced Autopilot system, Tesla doesn't offer a 360deg parking camera, even as an option. The Model S has a very airy interior, though, thanks to a panoramic roof that floods it with natural light. You can also upgrade this to an opening sunroof. Is quality up to the level of its premium rivals? Well, inside the materials feel pretty poor and flimsier than you might expect for a car in this price bracket, particularly areas such as the centre console. If you are coming from a Porsche or BMW, you might feel a little short-changed. The I-Pace has a plusher interior, but the Tesla still has a suitably futuristic look.